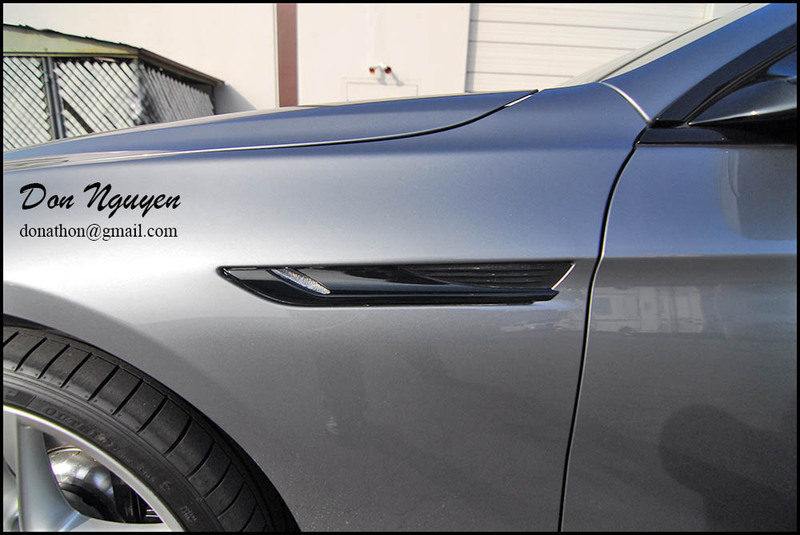 The owner of this grey BMW F06 650i gran coupe had me wrap the roof of his car in my gloss black vinyl material. We went with the gloss black vinyl material to try and match the already large glass roof that is on the car, to complete the all black roof look. In addition to the roof, I did the rear roof spoiler on the car, chrome fender side grills and chrome door handle trim pieces in the matching gloss black vinyl materials. 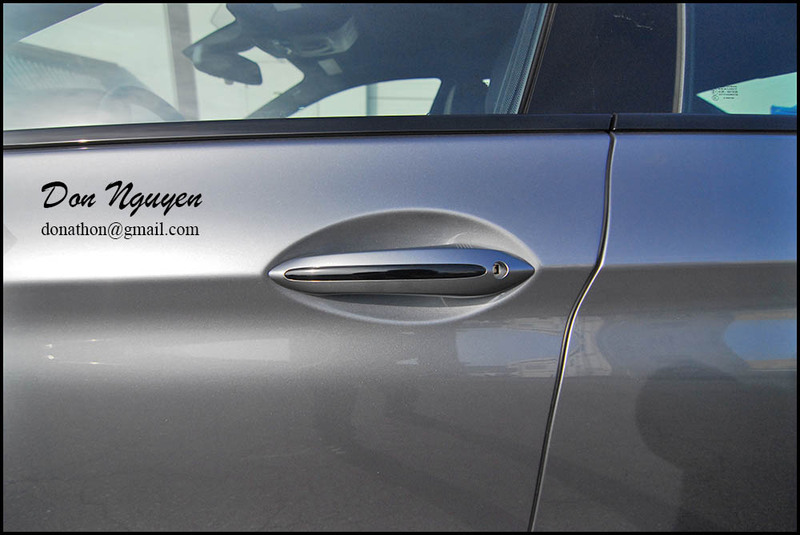 The owner of this car was in Yorba Linda and actually just down the street from my shop in Anaheim Hills/Orange County.